If you want to help mums in need, families facing financial difficulties, and children in foster care, you can donate all your gently used pre-loved stuff to charity, where they will be appreciated and treasured. Donating preloved items to charities in Singapore: By donating your pre-loved stuff for a good cause, you can help the underprivileged. Imagine if you were a teenager who just discovered that you’re pregnant — what will you do next? Babes is a teenage pregnancy crisis service that reaches out to pregnant teenaged girls who are in need of help, guidance and support. Some of the teenaged girls experiencing an unplanned pregnancy crisis come from low income families and often face financial difficulties in paying for their medical expenses and baby’s necessities. Besides monetary donations (cash or vouchers) which will help the girls greatly, donations of pre-loved stuff are also welcomed. What to donate: Baby formula milk (Stage 1 for 0 to 6 months), baby diapers (newborn to size M), baby clothes (0 to 2 yrs), breast pumps, baby cots, baby milk bottles, baby bath tubs, prams. This non-profit society wants to help distribute useful pre-loved stuff to benefit the underprivileged so they have provided a web platform by channelling donated items to them, as well as setting up an online wishlist where those in need can request for specific items which they need. Anyone in Singapore can donate, as long as the items are useful and are in good working condition. The good people at H&M want to help reduce the environmental impact caused by the fashion industry so this campaign is set up to limit the amount of waste which ends up in landfills. For each bag of old clothes and textiles you hand in, you will be rewarded with a voucher for 15% off your next purchase (maximum of two vouchers per day will be given per person). All revenues from the items donated will be used to reward all H&M customers, donated to local charity organisations, and invested in recycling innovations. 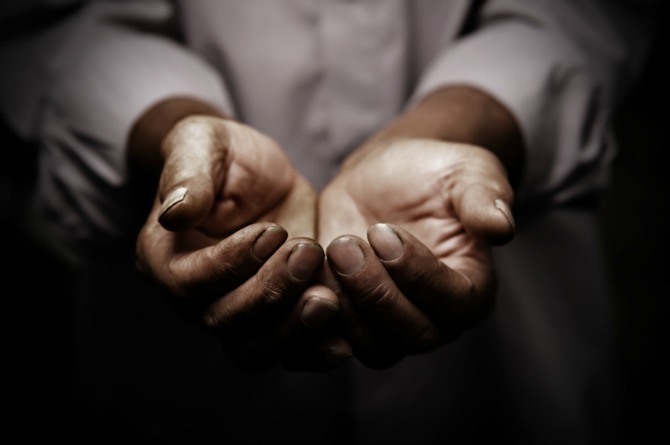 Lend a helping hand to those in need by donating your gently used pre-loved stuff. 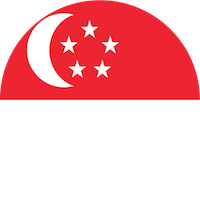 Not everyone in Singapore is living life in the fast lane with all the 5 C’s (Cash, Car, Condominium, Credit card, Country club membership), and it certainly isn’t very cheap to raise a family here. Bless for Mummies and Babies (BMB) is a wonderful Facebook group which was set up to help mums in need connect with kind-hearted donors who are giving away their gently used pre-loved stuff. Mothers in need can request for specific items, or other members can post their own second-hand items which they would like to “bless”, or donate to someone who will treasure it. What to donate: Baby and children’s clothes, books, toys, baby diapers, prams, baby cots, and other specific requests. Some parents in Singapore are unable to take care of their own children, either due to emotional, financial or health problems, so they are faced with the heart-breaking decision of putting their children in foster care. Sanctuary House works with expectant mothers, families in crisis, structurally disadvantaged ‘traditional’ families, fragile families and single parent families. They provide foster care to children who are lacking family care, and give support to families where children are at risk of being separated from them. Children need love, care and a safe home to grow well and thrive – but when they become orphans or are neglected by their own families, they have to be placed in a Children’s Home where they will receive the TLC that they need. Managed by the Jamiyah Singapore (Muslim Missionary Society Singapore), Jamiyah Children’s Home (Darul Ma’wa) has been helping orphans and neglected children of single parents, drug detainees, abused and dysfunctional families and children with special needs. Besides donating your gently used pre-loved stuff directly to those in need, you can also give them to non-profit organisations which will sell them and the sales proceeds will go directly to charity. If you’re looking for some good deals for vintage things, you can even pop down to these thrift shops to rummage around too, knowing that your money well spent is going to help someone in need. One man’s trash is another man’s treasure — if you have any pre-loved items that you don’t have the heart to throw out, but are running out of space to keep it at home, donate it to the New2U thrift shop instead, where they will be sold to vintage lovers looking for a good deal. Managed by the Singapore Council of Women’s Organizations (SCWO), which is the national coordinating body of women’s organisations in Singapore, sales from the New2U thrift shop will go SCWO initiatives, such as Star Shelter, which is a refuge for victims of domestic violence. What to donate: Clothes (men, women and children), books, toys, bags, accessories, crockery & utensils. Ex-convicts and those recovering from substance abuse deserve a second chance and some help to get back on their feet to start a new life, so Highpoint Community Services Association has provided a halfway house which offers social services not only to drug addicts and ex-offenders, but also to abused teenage girls, and underprivileged children. Their thrift shop is located within the HSCA premises and you can get great deals for under $10! What to donate: Clothing, bags, accessories, electrical appliances, furniture, decorative items, and books. The Movement for Intellectually Disabled of Singapore (MINDS) provides pre-vocational training in retail and customer service to their clients who have intellectual disabilities, which gives them the opportunity to learn how to interact with customers, while also providing a chance for members of society to get a better understanding of the challenges faced by their clients. If you support the MINDS shops by donating your pre-loved stuff or by shopping there, you will be helping the clients with intellectual disabilities a good opportunity to work, and you will also be helping the environment by cutting down on throwing things in the trash. What to donate: Clothes, bags, books, small furniture, household items, toys and more. 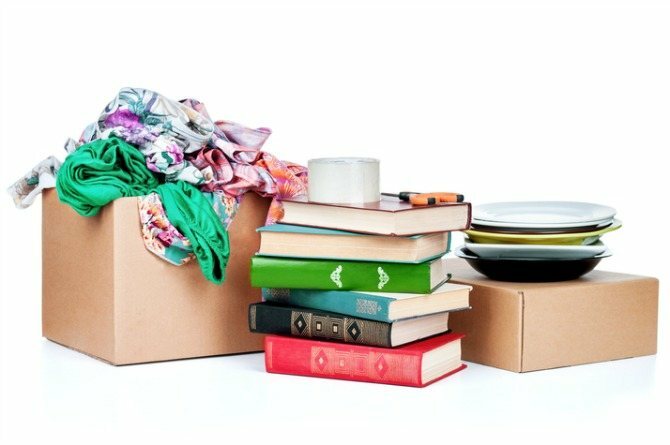 Give your pre-loved stuff a new lease on life by donating them to charity. Whenever you hear about a natural disaster in the news, you will most likely see that the Singapore Red Cross (SRC) will be quick to jump in to provide assistance in relief operations, and also offer auxiliary health and welfare services to the sick, the handicapped, the aged and the poor. Formed in 1949, SRC offers a wide range of services to help those in need, and so by shopping at their thrift shops, you will be supporting a great cause. What to donate: Bed linen, household items, clothes, electrical items, CDs and more. Dignity Mama Stall offers mothers with intellectually/physically challenged children the opportunity to work together and run a second hand bookstore. Their current locations are within hospitals and offer a safe environment for the children to be close to their mothers while they are working. The stalls also allow youths with disabilities the work exposure to gain the aptitude and confidence to manage their own lives in future. What to donate: Storybooks, comics, Management books, encyclopaedias, magazines, Arts & Craft books, autobiographies, and other reading materials that are still in good condition. The Salvation Army was established in in Singapore back in 1935 and aims to serve the underprivileged in the community, regardless of age, race or religion, and lends a hand to care for those in need by providing social care, community development and even disaster relief. There are many branches around Singapore and you can always get a great deal for various things, including big ticket items like dining tables, antique dressing tables, trampolines, pianos, and many more. What to donate: Clothes, furniture, household goods, electronic devices, toys, instruments and books. So remember, if you have any gently used pre-loved stuff, or even brand new things which you do not have a need for, consider donating it to the underprivileged and those who will truly appreciate it. Republished with permission from theAsianparent Singapore. We hope you’ll be donating preloved items to charities in Singapore! If you have any other charities not included in our list, let us know!